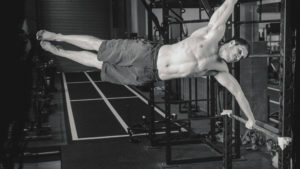 HFM’s bodyweight training expert Ashley Kalym reveals how to hoist the human flag for amazing core strength. 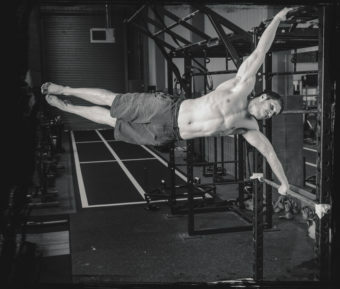 The human flag is a gravity-defying move that will place a demand on every part of the body, but particularly your shoulders, back and core – and especially the obliques. 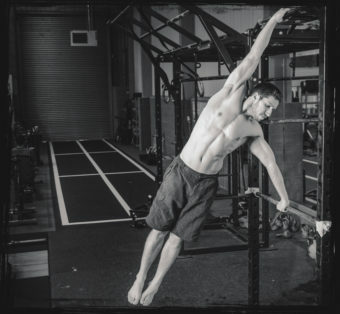 It requires huge amounts of strength, and is considered one of the toughest bodyweight exercises around. But while it looks impossible, you can break it down into stages and become a bodyweight ninja! First do a few bodyweight workouts with pull-ups and press-ups in order to build your upper-body strength. Then find a vertical bar, climbing frame or squat rack, as shown in the images. Grab the bar – your top hand should be in an overhand grip; the bottom one in an underhand grip. Keeping your elbows completely straight, push hard with your bottom arm, pull hard with the top, and lift your feet off the floor. Once you’re in a vertical position, hold as long as you can, for up to 10-15 seconds. Once you can hold the position for this, move to level two. The next stage is the tucked flag. Jump your feet off the floor and draw your knees into your chest. At the same time, push hard with your bottom arm and pull hard with the top one. Once your torso is horizontal, aim to hold position for a total of 10-15 seconds in as many sets as it takes. Move on once you can hold for 10-15 seconds at once. In a vertical flag, push as hard as you can with your bottom arm and pull as hard as you can with your top one. Contract your core and point your toes to align. If it’s too hard, start with legs held apart but still straight. When horizontal, hold for as long as possible. Ninja! 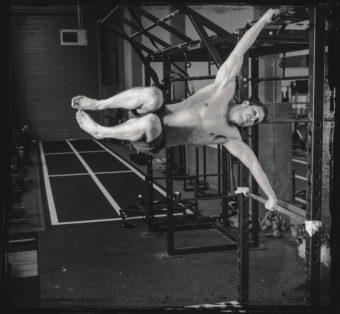 Complete Calisthenics by Ashley Kalym (Lotus Publishing, £19.99) is out now. Visit www.lotuspublishing.co.uk.